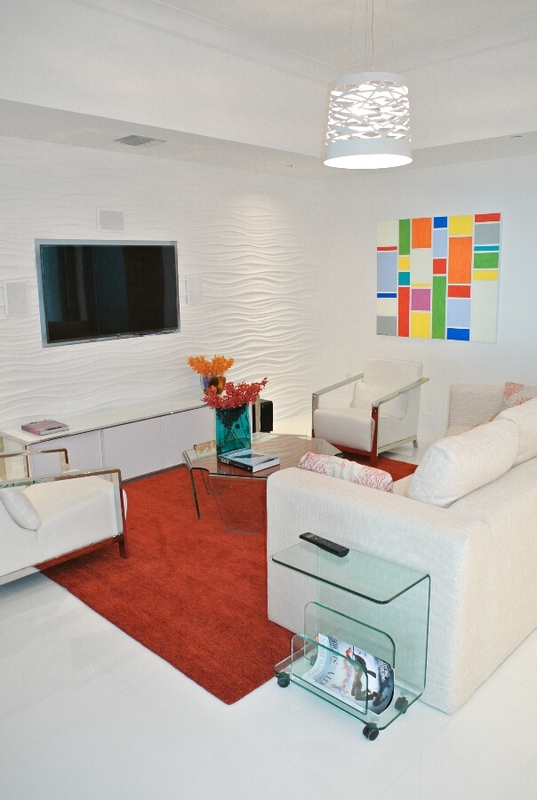 As a leading Miami interior design firm, we know just how important a living room is. Often a major focal point of the home, a living room is where people come together, and where bonds and memories are formed. Like the dining room and kitchen, the living room needs to be entirely functional, with convenience and accessibility being just as important as aesthetic. 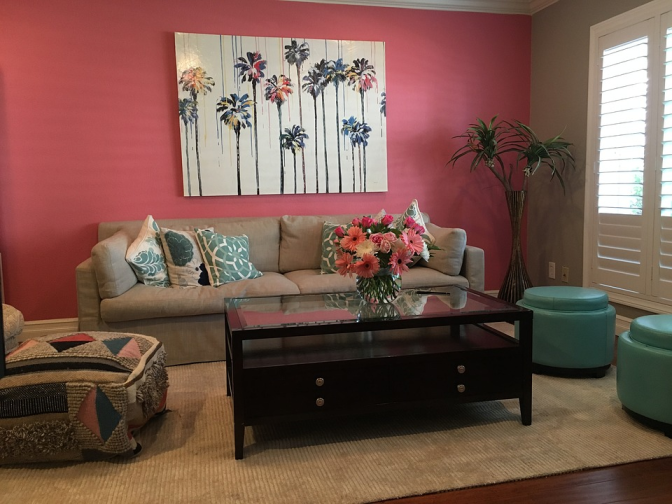 When you design your living room in a new build, or even if you’re remodeling or simply redecorating, some tips from our Miami interior design company will be invaluable. If you want to make the most of any space, then you’ll need to know three of the most common living room design mistakes, and how to avoid them. Most living rooms will have a television, but this doesn’t mean that the TV should be the focal point. With Television panels becoming thinner and less obtrusive every year, there’s no longer any excuse for having one dominate your living room design. Instead of the TV being a feature, it should be effortlessly incorporated into your interior design. Plan an overall aesthetic first, and then incorporate the television later. Whether it is a wall, shelf, or cabinet mounted, the fact that you didn’t design around the TV will be immediately evident, and you will be freed from thinking only about the entertainment during the design process. Keep in mind that any relatively new television can be easily wall mounted, which means that it can easily be set against a painted, textured, or even a paneled backdrop. One of the biggest mistakes we see as a Miami interior design company is when furniture is simply pushed against the walls and left as such. Contrary to what many believe, pushing furniture to the walls will not make a room feel larger. In fact, quite the opposite will happen. Sitting on a chair or sofa that has been pushed against a wall will mean that you are always conscious of the exact dimensions of the room, which can make space feel stifling. Instead, move the furniture inwards to the center of the room. There are a number of benefits to doing this. Most importantly, it will make space feel more open, and if you are following an open concept through a living, dining, and kitchen area, then staying away from the walls will be essential. Another benefit is that moving seating furniture away from the walls will make the room a better place for family and entertaining. People will be seated close to each other (remember to still leave some room to avoid ‘personal space’ cramping) which can promote bonding and conversation. If the living room is large enough, then moving couches away from the walls will allow you to add plants, cabinets, and bookcases etc. behind the seating, while still leaving some open space. From our Miami interior design firm, we can help you to create efficient layouts with furniture that maximizes the use of space and improves aesthetic and practicality. Some excited homeowners will choose to paint a living room first and then focus on the overall interior design later. Although some do end up getting away with this mistake, it can add extra time, stress, and even cost into completing an interior design. It’s much more difficult to match accessories and furniture to painting than it would be to do things the other way around. Paint can easily be mixed to get the color that you want, which will then match the furnishings that you choose. Choosing furniture and accessories first will give you a lot more freedom in the choices that you make, which means that you won’t have any restrictions when it comes to color or materials. You won’t have to compromise on comfort or even the cost of your furniture because you won’t have the restriction of a paint color hanging over you. Instead of painting first, think about the kind of color theme that you would want to aim for, and then shop based on that idea. Do the painting after selecting furniture and other decorations, and you’ll be able to get the perfect tone that complements everything else. You may know the color and overall aesthetic that you want, but bringing everything together can be a daunting task. Sometimes choosing to go solo with interior design can mean reaching a point of burnout and eventually settling for something that doesn’t fit your personality or original vision. For the best interior design firm Miami, with none of the setbacks or mistakes, talk to the team at J Design Group for your next project.